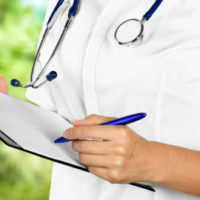 According to a new study released in March, medical malpractice allegations against nurse practitioners are not significantly different than those brought against primary care physicians, indicating that, as nurse practitioners see more and more patients each year, they are arguably making similar mistakes, which are just as significant in scope as those that doctors make. The study projected that, by 2025, nurse practitioners will represent almost one-third of the entire family practice workforce. Yet, it is significant that hospitals and private practices still do not understand the corresponding implications, especially since liability risks are essentially the same for both groups. The study is based on 1,500 claims filed against family medicine physicians, internal medicine physicians, and nurse practitioners between 2011 and 2016. Not only were the diagnosis- and medication-related claims allegations similar for both the physicians and nurse practitioners, but the final diagnoses were as well. According to the study, many malpractice claims can be traced back to the same administrative and clinical factors, such as absence of written protocols, deviation from written protocols, failure to adhere to scope of practice, and inadequate physician supervision. Improvements could arguably be made (and mistakes better avoided) if physicians were clearer on the laws and regulations that apply to nurse practitioners in their state and in ensuring that they are providing care within the scope of practice. There should also be consistency and transparency concerning the level of supervision executed by the physician, including what documents are reviewed and co-signed. For example, let’s take a look at Florida’s Scope of Practice Policy when it comes to nurse practitioners: They are required to practice under the supervision of a licensed physician and in accordance with a written protocol filed with the Florida Board of Nursing. The protocol goes into detail regarding the degree and method of supervision, which includes the duties of both the nurse practitioner and the physician, the practitioner’s management areas, and circumstances under which an evaluation or consultation by the physician is required. Nurse practitioners are also recognized as primary care providers, and may be delegated the prescriptive authority for drugs (Schedules II-V). Lawsuits have been filed against Florida nurse practitioners in association with various claims; for example, whether a nurse practitioner—if working under the direct supervision of a physician—can be held separately negligent for a misdiagnosis. It is important for you and your loved ones to realize that medical malpractice claims not only apply to doctors, but nurse practitioners as well. This is especially important as they see more and more patients every year, and, in some circumstances, are engaging in services that are more appropriate for a physician’s oversight. Contact our Florida medical malpractice attorneys at Friedland & Associates today to find out more.